Southwestern Energy argued and a lower court agreed there was no trespass because of the “rule of capture.” Rule of capture means the first person to capture a natural resources owns that resource under English common law. It can be applied to groundwater or natural resources like oil and gas. Click Here for a Penn State Law presentation on the issue. 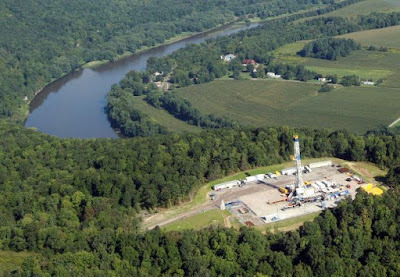 The Court ruled prior cases involving the rule of capture do not apply to unconventional natural gas drilling because hydraulic fracturing is not the same as oil and natural gas freely migrating from a reservoir and across property lines. Additionally, while we are cognizant that establishing the occurrence of a subsurface trespass determining the value of natural gas drained through hydraulic fracturing will present evidentiary difficulties, see Coastal Oil, 268 S.W.3d at 16, we do not believe that such difficulty, in itself, is a sufficient justification for precluding recovery. “Therefore, hydraulic fracturing may constitute an actionable trespass where subsurface fractures, fracturing fluid and proppant cross boundary lines and extend into the subsurface estate of an adjoining property for which the operator does not have a mineral lease, resulting in the extraction of natural gas from beneath the adjoining landowner’s property. The Court remanded the case to lower court to allow for the Briggs family to fully develop their trespass claim, including any estimates of the extent of the trespass and how far the subsurface fractures extended from the unconventional gas well. Click Here for a copy of the PA Superior Court opinion.